During the early phase of the project, the business analysts will begin the process of documenting and formalizing all business requirements into a (1) business case, (2) user requirement statement, or (3) terms of reference document. It is vital that these documents are completed on time, and they need to be approved by all stakeholders (even the users) before being used to draw up the project documentation. The business documentation is normally co-authored or written by the project manager and managed thereafter. 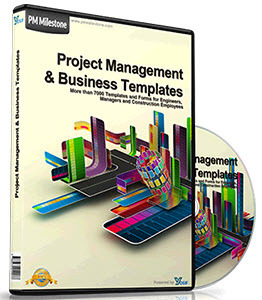 The project business documentation must clearly take into account the exact client business requirements. The project manager should ensure that the documentation is consistent and does not conflict with any other requirements. The business analysis remains focused on documenting the core business benefits. It should take into account the needs and preferences of system users. Finally, the documentation should be unambiguous and should provide the reader with only one picture of what is required. Project documentation is essential to any project success. I am reminded of a time when I received an e-mail on a Friday afternoon informing me to perform a project audit on a troubled project the coming Monday morning. When I arrived on the given day and inquired about the status and whereabouts of the project documentation, I was told by the assigned project manager that there was none, as they never had any time to develop all the required documents. This statement gave me the immediate answer: Lack of documentation led to the project going offtrack. Table 4.5 shows the benefits for projects that use project documentation. Establishes clear understanding of the project. There is no method to reflect changes to a project. Forms a baseline for documenting the project scope. There can be legal disputes. 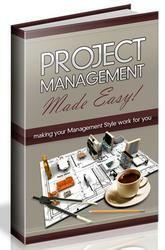 Allows for better project management in phases. Used for post-project reviews and audits. Communication with client is ineffective. Charts formal communication to client and others.